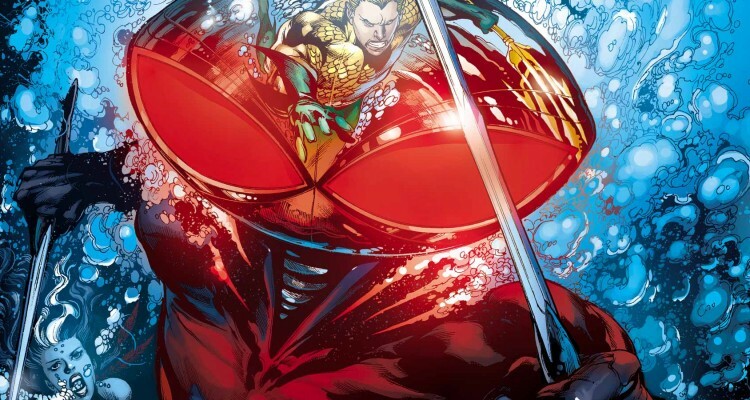 Report: Aquaman movie villain will be Black Manta – Eggplante! 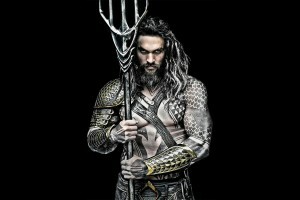 It’s still a couple of years away, and we still don’t even officially know who will be the main villain or villains of next year’s Wonder Woman movie, though credible source, TheWrap has apparently obtained information on who Aquaman will be facing in his solo movie that’s scheduled for 2018. Despite initial rumblings claiming that the movie’s villain would be Ocean Master, TheWrap has now claimed that these reports are erroneous, and the movie’s villain will actually be Aquaman’s better-known arch-nemesis, Black Manta. It’s very possible that the Ocean Master scoop is outdated information, and could have come from a script that Warner Bros. ultimately didn’t use for Aquaman. Insiders claim that Warner Bros. commissioned two different scripts for the movie, and was planning to choose one, with speculation seeming to correctly estimate that the main difference between the scripts was the choice of villain. Another possibility for the change in villain from initial reports could come from the recent creative shake-ups at DC Entertainment, which has now placed DC’s chief creative officer and new DC Entertainment boss, Geoff Johns fully in charge of the DC Extended Universe movies via the new DC Films label, alongside Warner Bros. executive vice president, Jon Berg, in the wake of criticisms surrounding this past March’s release of Batman v Superman: Dawn of Justice. 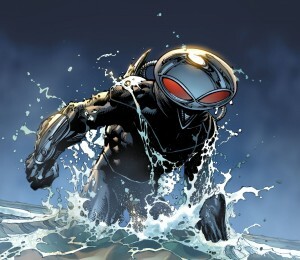 It’s believed that Johns wished to completely overhaul the movie’s script, which is currently being re-written by Will Beall, and that might also explain how the villain could have changed, since Johns may have wanted to use Black Manta instead of Ocean Master, and could have been previously overruled before his promotion to head of DC Films. The fact that Johns now has a story credit on Aquaman where he didn’t before, seems to support this possibility. Black Manta is arguably the most well-known and greatest of Aquaman’s handful of dedicated enemies, despite the fact that he is an ordinary human with no superpowers. Manta’s first name is claimed to be David, though his surname is unknown. Despite having more enhanced strength and stamina in former DC canon, Manta was made into a fully regular human in the wake of DC Comics’ New 52 reboot, though he still possesses a vast array of underwater technology and weapons, as well as the ability to breathe underwater indefinitely, thanks to artificial gills. Manta is motivated by a relentless hatred of Aquaman, who he believes failed to save him after he was forced to do slave labour on a ship, though the New 52 canon also added in that Aquaman accidentally killed Manta’s father, further fueling the arch-villain’s animosity. 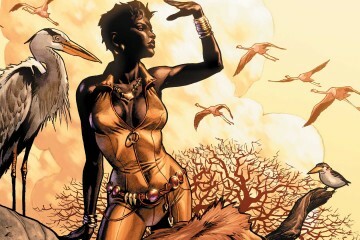 Earlier DC Universe canon has also established that Manta is autistic, and also has the unique quirk of reversed pleasure/pain receptors, finding comfortable cotton sheets unbearably agonizing, yet finding comfort and energy in freezing cold water. Aquaman is scheduled to hit theatres on July 27th, 2018. Keep swimming to Eggplante for all major news and updates on Aquaman.